Way back in 2004, I decided I wanted a car. I'd been driving my parents' car up until then, and I was anxious to get my own set of wheels. 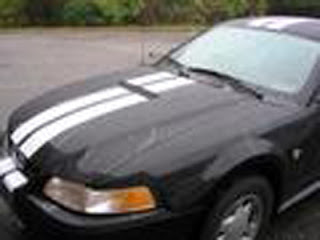 A coworker at the time was considering selling his Mustang, and the notion seemed to capture my mind. After my coworker decided against selling his car, I'd already decided I wanted a Mustang and couldn't get the idea out of my head. So after a fair amount of shopping around, I found a winner. A 1999, 35th Anniversary Edition V6 with only 50,000 miles. I borrowed some money and made the purchase. To go from having no car to having a 200hp Mustang that was only 5 years old was pretty exciting. While I certainly didn't buy it to impress others, I'd be lying if I didn't admit that the prestige associated with the car didn't get to me. I definitely enjoyed the attention the car brought. And then I crashed. Not a serious accident, but enough to do some body damage and rip the exhaust pipes off from underneath. After spending some more money, the car had new tires (also ripped off), and a new Flowmaster dual exhaust system (which sounded excellent). After that it was smooth sailing. 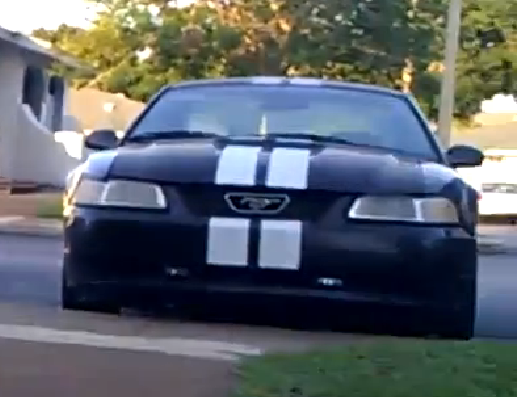 I put the stripes on myself, installed some fog lights, and just generally had a great time with that car. It went with me to several YouthCamps, College Retreats, road trips, and even drove my beautiful bride and me around for our wedding. 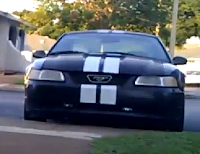 The Mustang also made the move to Florida with us, driven by the ever-teachable Tom (that was an adventure of a trip!). I had it before I was married and before I was a dad. There are certainly lots of memories associated with that car. And now we have a new car! Well, not a NEW car, by any means, but it's new to us. The Mustang was traded in and we now have a minivan! We were able to pay for it with cash, meaning no car payments! It's a Dodge Grand Caravan and we couldn't be happier with it. 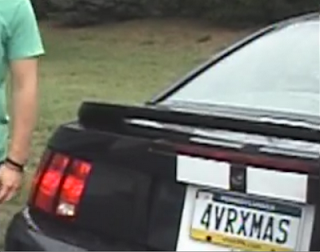 It serves the family so much more than the Mustang did and we all love it. It's funny how priorities change, isn't it? If you would have told me when I got the Mustang that I'd eventually be trading it for a minivan and that I'd be seriously excited about it, I would have laughed. But here we are, and not only am I excited about the van itself, but also about the fun memories the kids are going to make in it on road trips as they grow up.